After sharing too many Eid collections by famous brands and designers, now it’s the time for another head-turning ecstatic Eid Collection by Amna Ismail. She is not a new to the fashion industry as well as her name is not new to everyone. 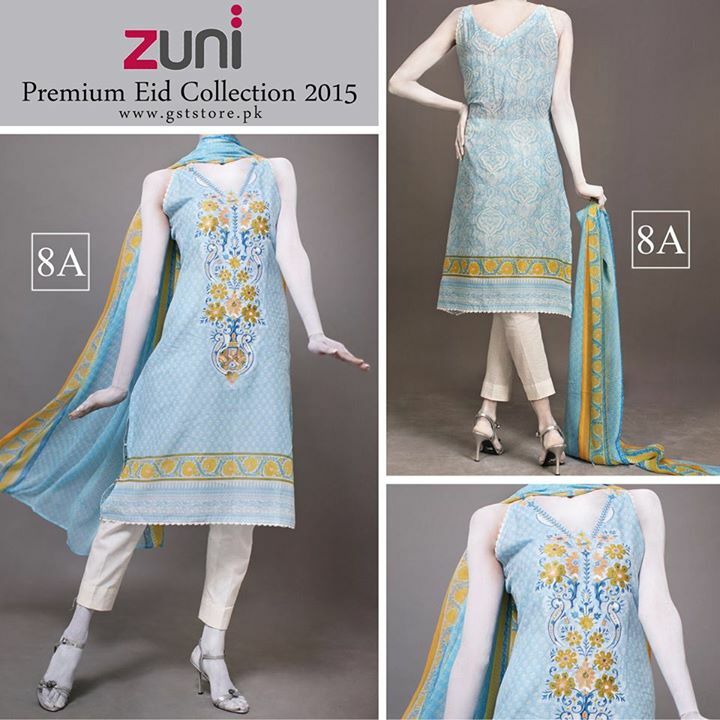 It is one of the well-known fashion manufacturer of Pakistan. 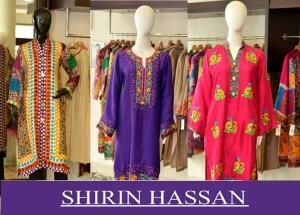 She has been designing apparel since 1995 and till now she has got a tremendous response from its beloved customers. 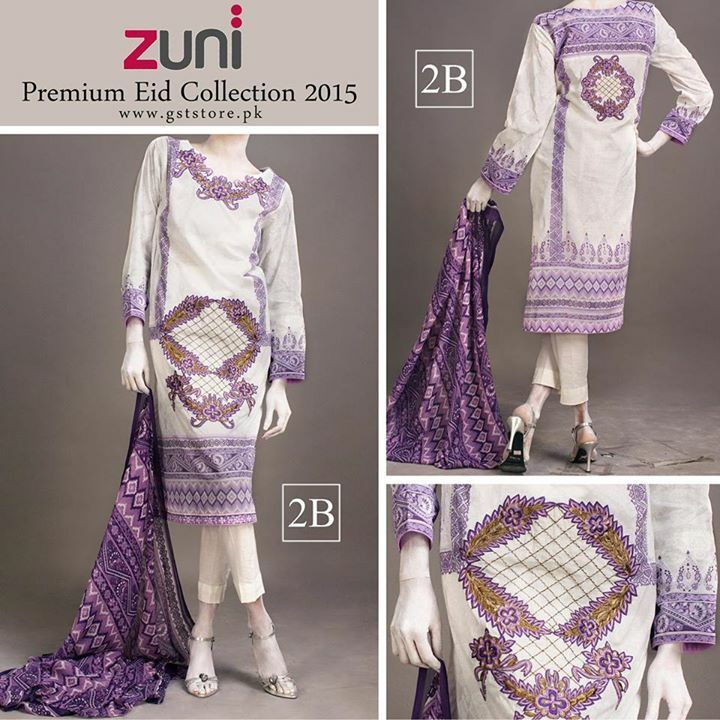 AMNA ISMAIL presents semi stitched collections every season for summer, winter, Eid, pret, kurtas, etc. 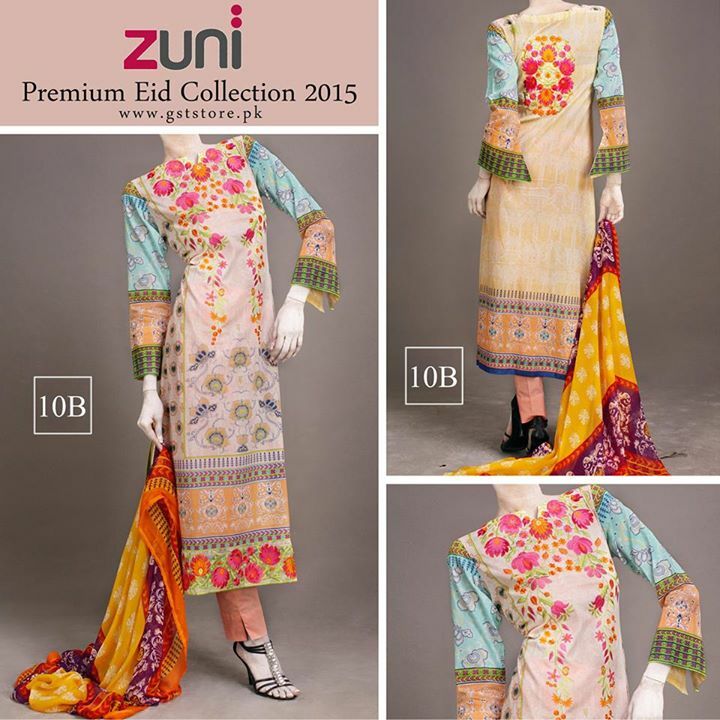 Amna Ismail Lawn is very famous among modern day girls because of its unique designs and prints. The prices are always kept affordable, so middle-class people also get buy. A group of companies engaged in this brand who then manufacture fabrics with embroideries and digital printing machines for last two decades. 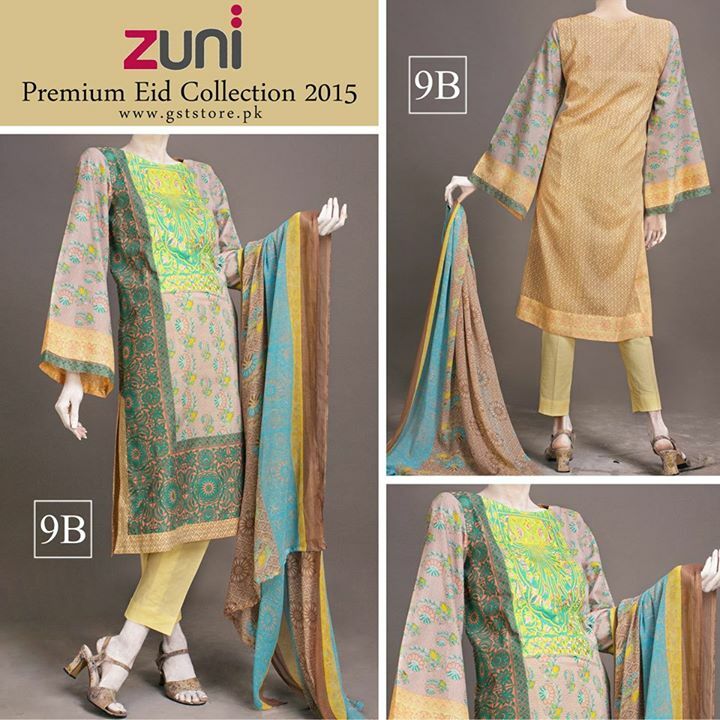 This brand is the mark of perfection and quality and produces its best. 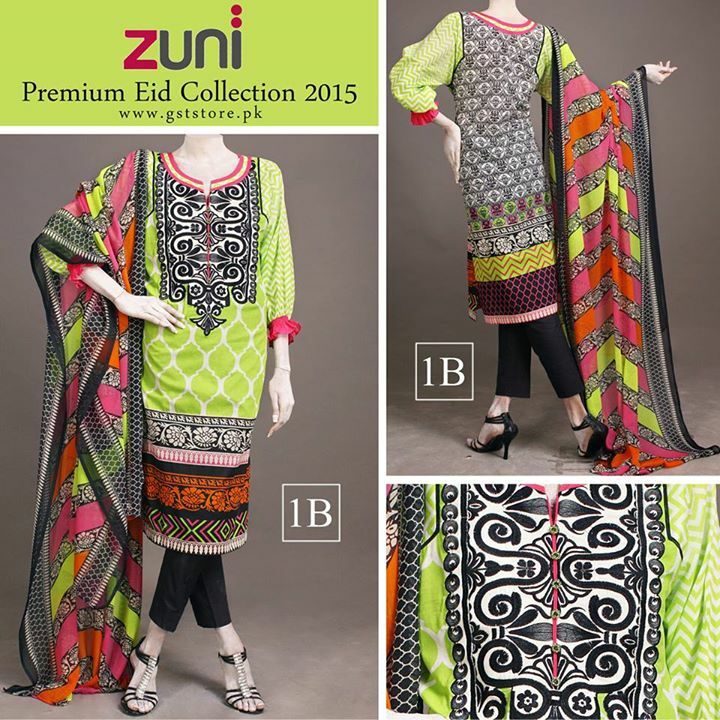 Now Amir Liaquat Hussain Anchal Lawn is also connected and governed by Amna Ismail, which has been well liked by ladies. 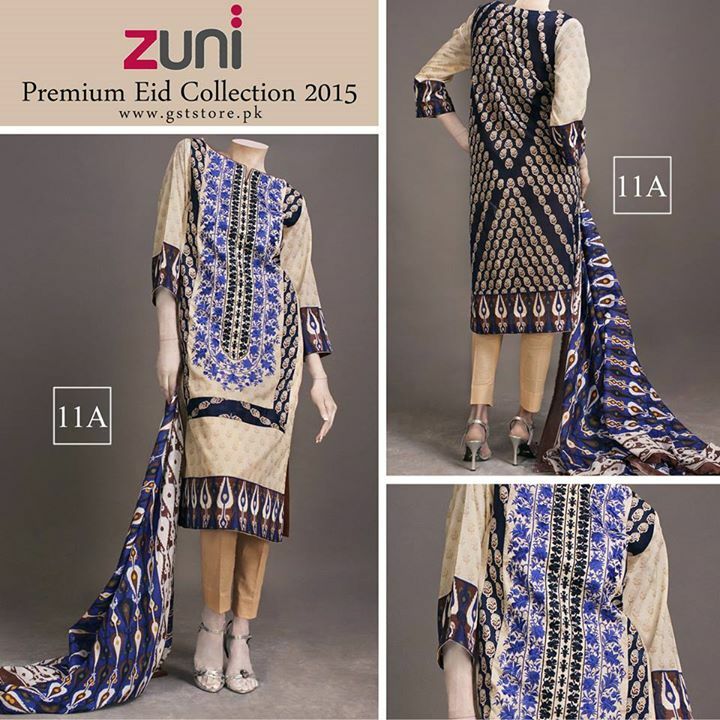 All new stylish semi stitched lawn and chiffon collections by Amna Ismail are now available for you to rock your Eid season and to feel the difference. 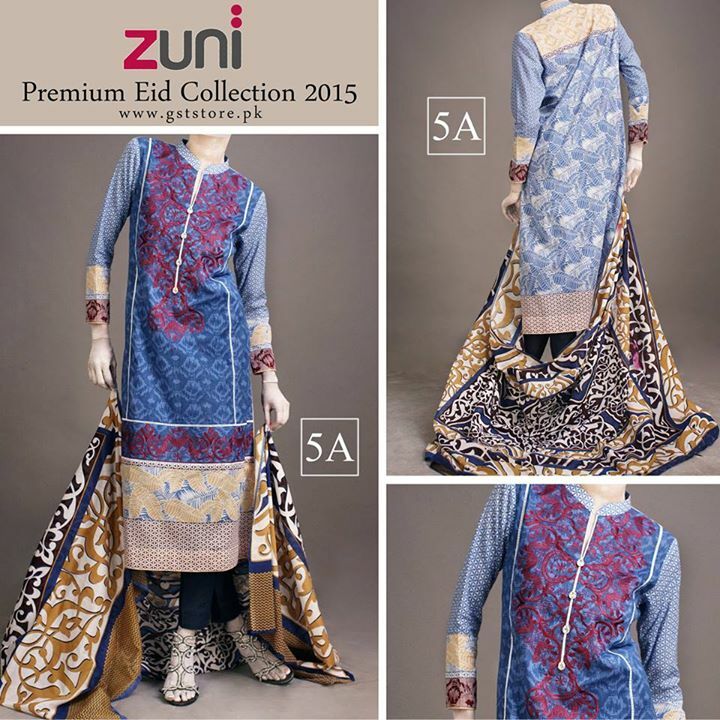 From a heavily embroidered suit to a simple printed lawn or chiffon dress, all such variety is included in its assortments. 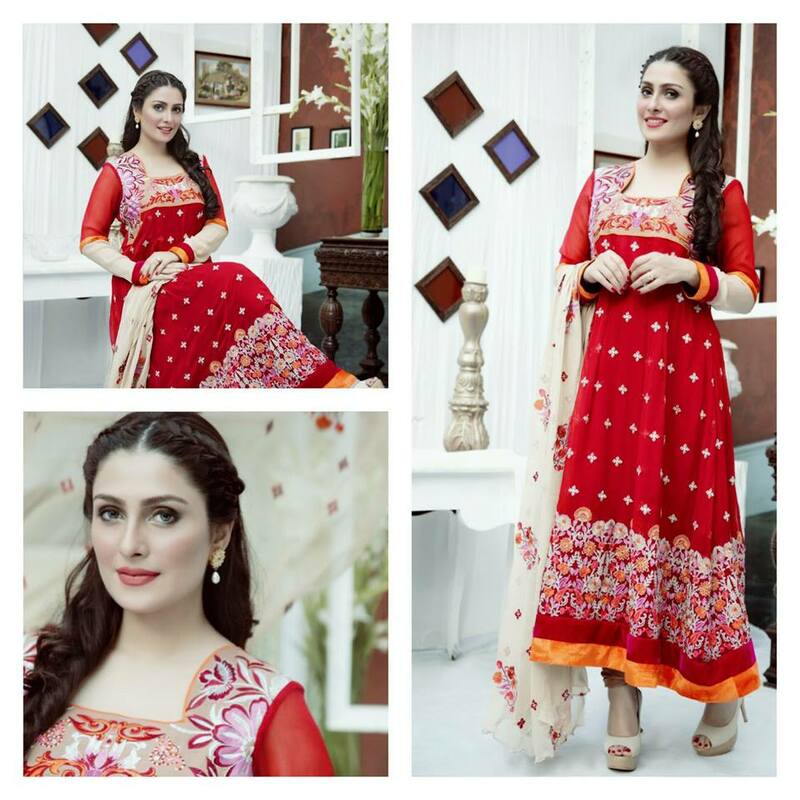 Amna Ismail Lawn Collections are very famous among the Pakistani girls, and they love to wear them because of its uniqueness and elegance. 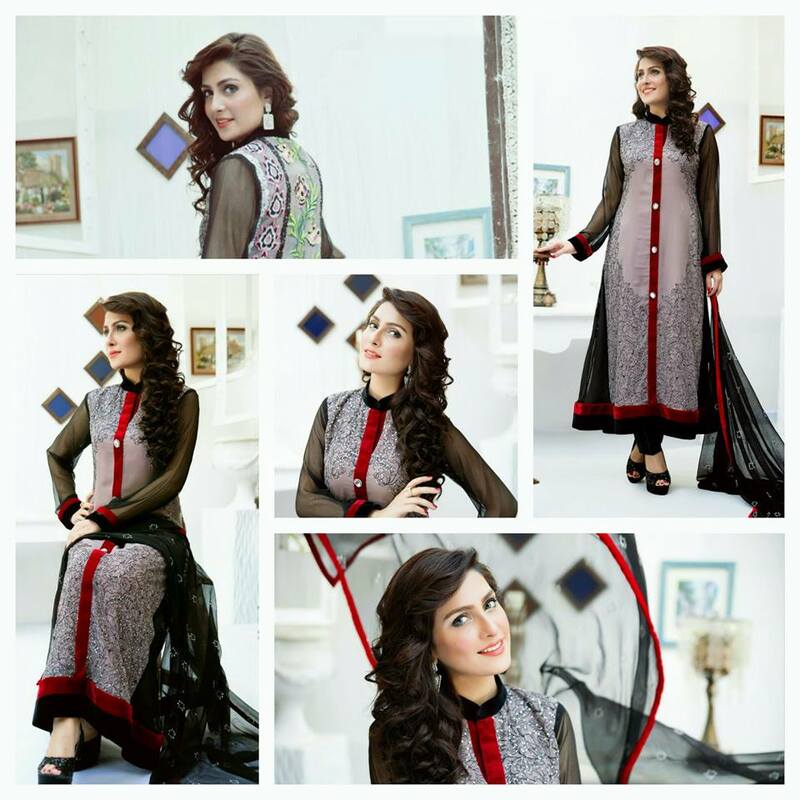 On the occasion of Eid, Amna Ismail has launched its Fancy Chiffon Semi-Stitched Dresses Collection 2015-2016 for women. 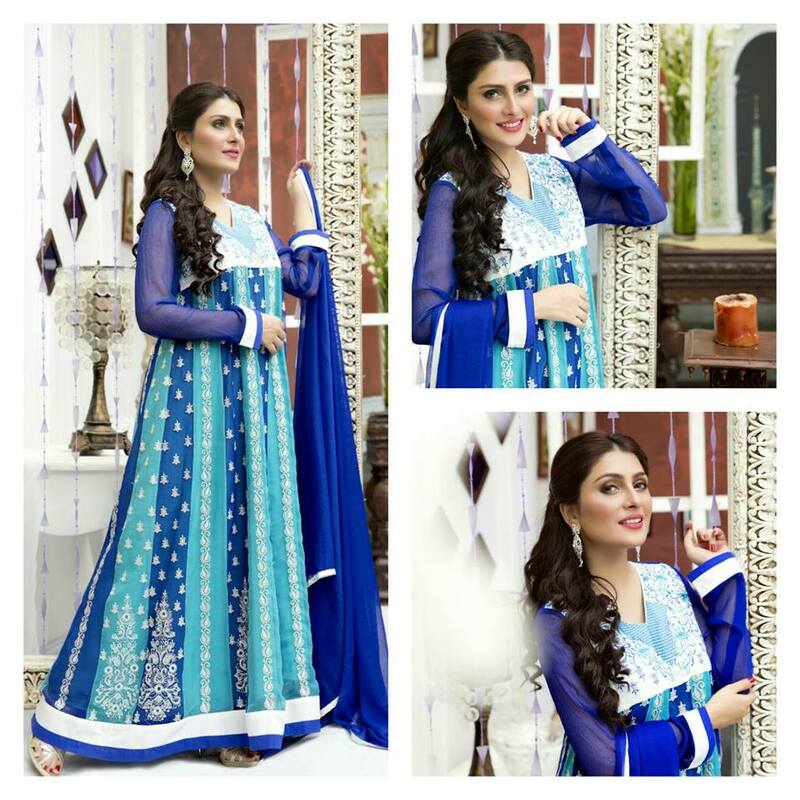 The assortment contains such a beautiful pieces of embroidered chiffon suits with different embroidery works like dabka, zari, sequence, gotta, etc. 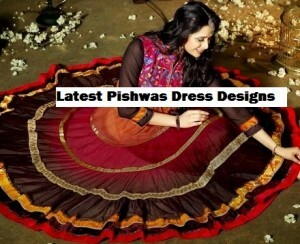 The series contain gown style dresses, long frocks, long shirts, kurtis paired with trousers and shalwars. The medium length shirts with decorated necklines are paired with printed cigarette pencil pants. The front end of suits is patched with banarsi Patti and jacquard panels. 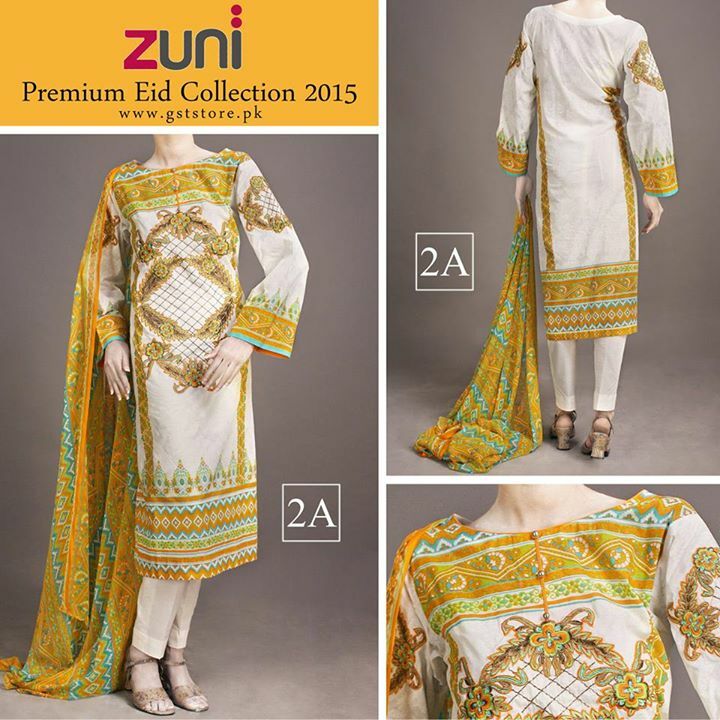 Festive bold and contrasting colors are implemented to add the royal touch to the attires. Very artistic designs together with pearl buttons, tassels and beads will beautify your events. 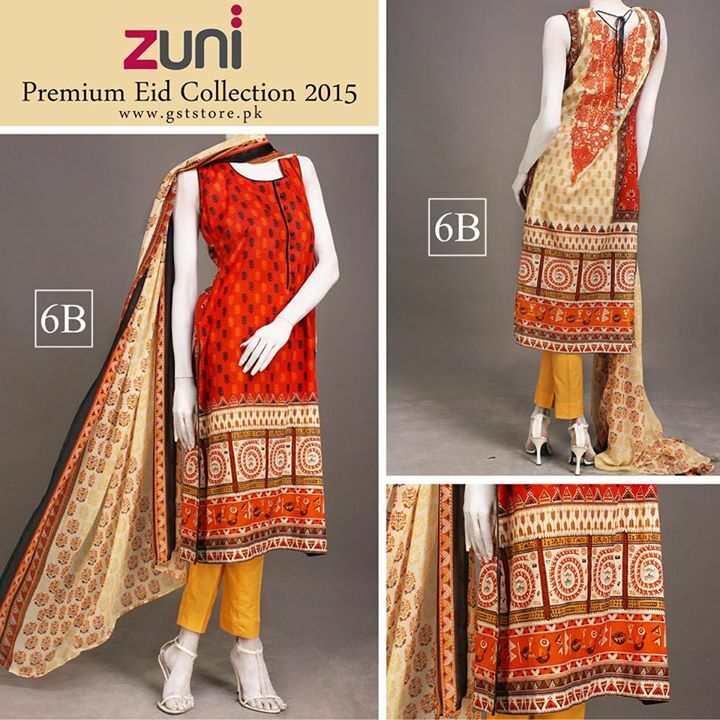 These suits are best for your formal wardrobes and perfect to wear at weddings, festivals and occasions. 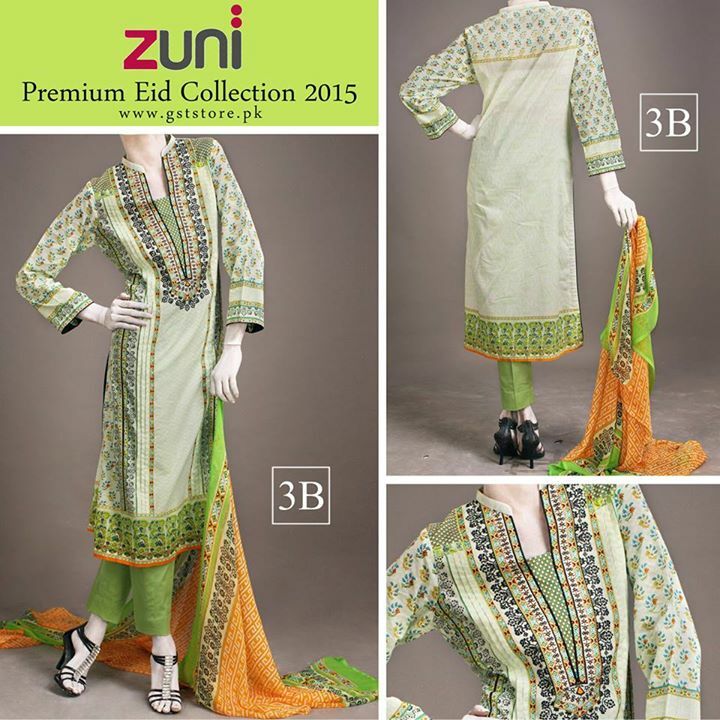 Just have a look at the pictures posted below and get choose your favorite piece of dress from this assortment. 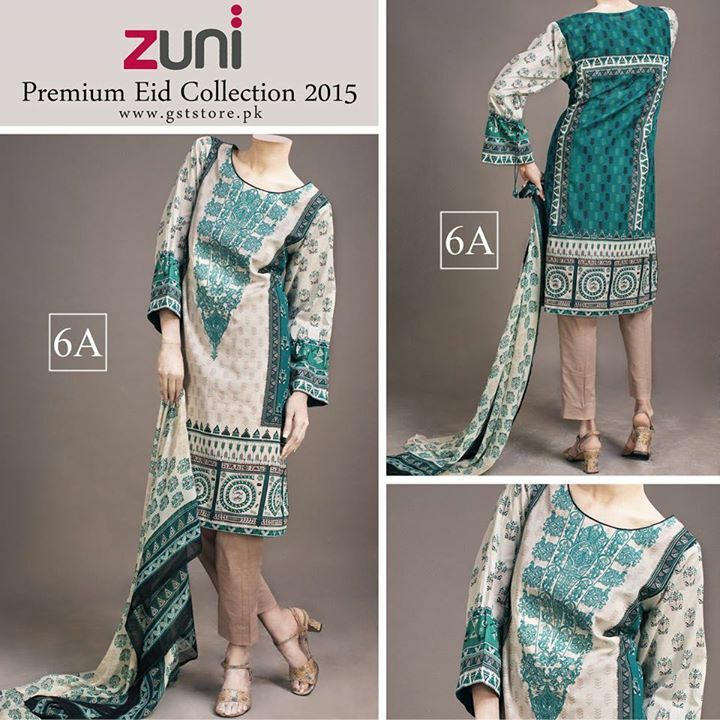 After the successful launch of Zuni Kurtis now presented Zuni Printed Suits Eid Collection 2015 that consists of semi stitched three piece lawn suits. 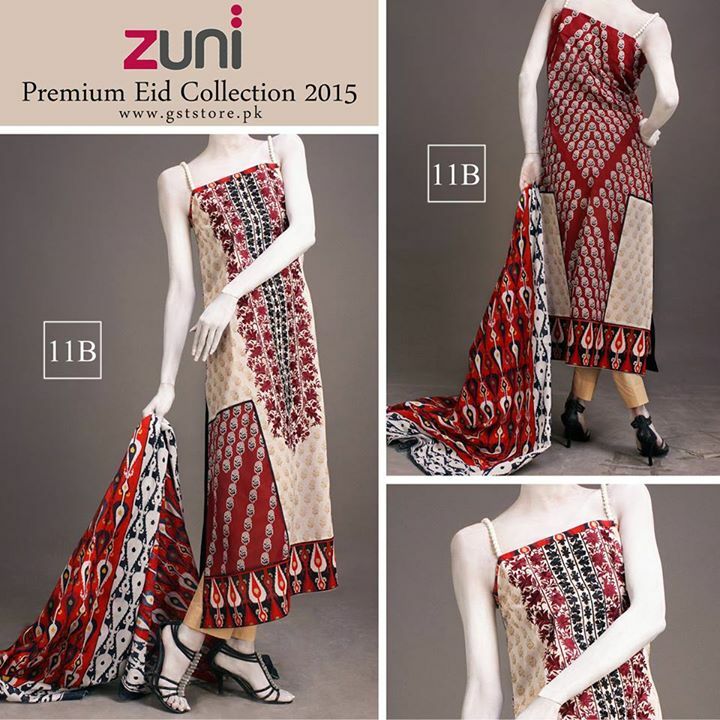 These dresses have simple but elegant designs as simplicity add elegance to your personalities. 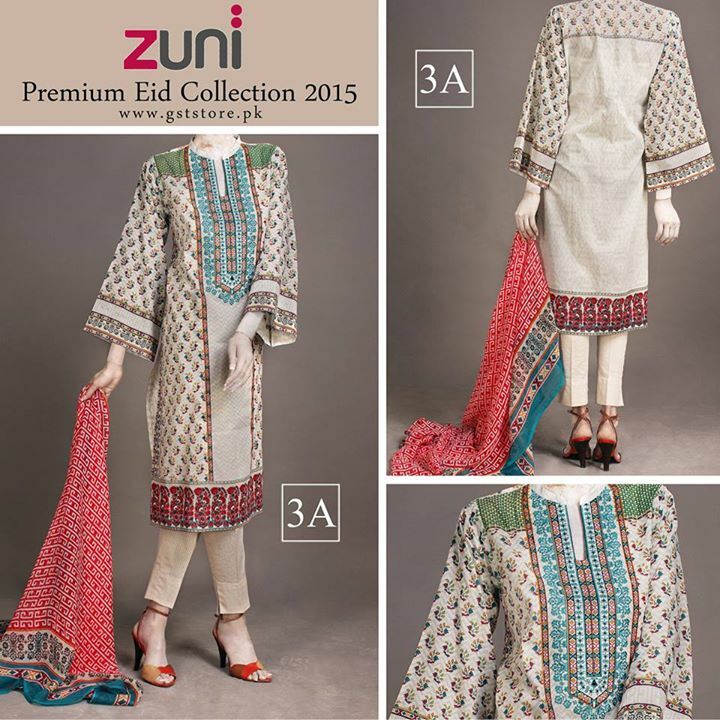 It has been launched on 30th may 2015 in Karachi and 5th June nationwide. 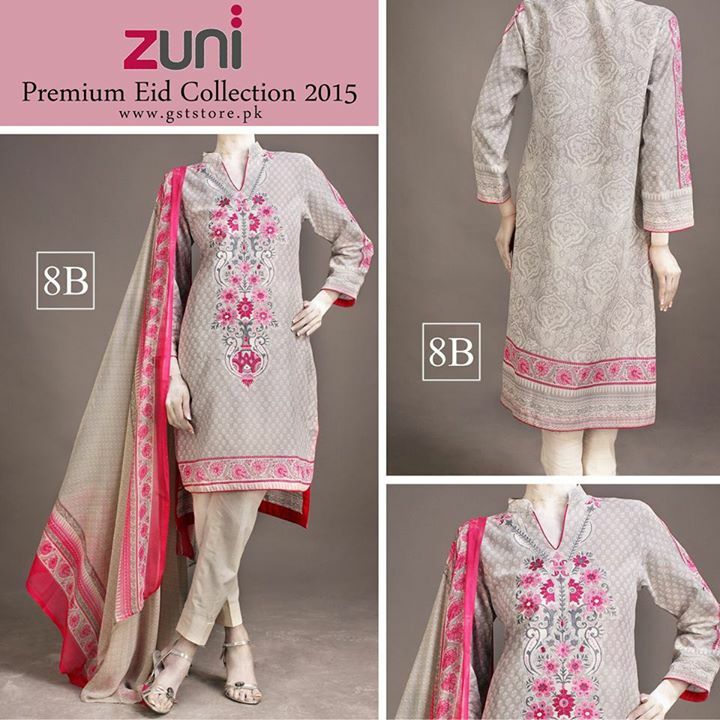 Zuni by Amna Ismail is a most well-known and esteemed name in the fashion world. These suits have beautifully printed patterns, necklines are made through digital printing, block printings are done at the front and back. The sleeves are made wide, and bell bottom type had sleek printing at the ends. Mostly light colors are applied in this series along with some dark shades including dusk, beige, off-white, black, grey, peach, sea green, etc. 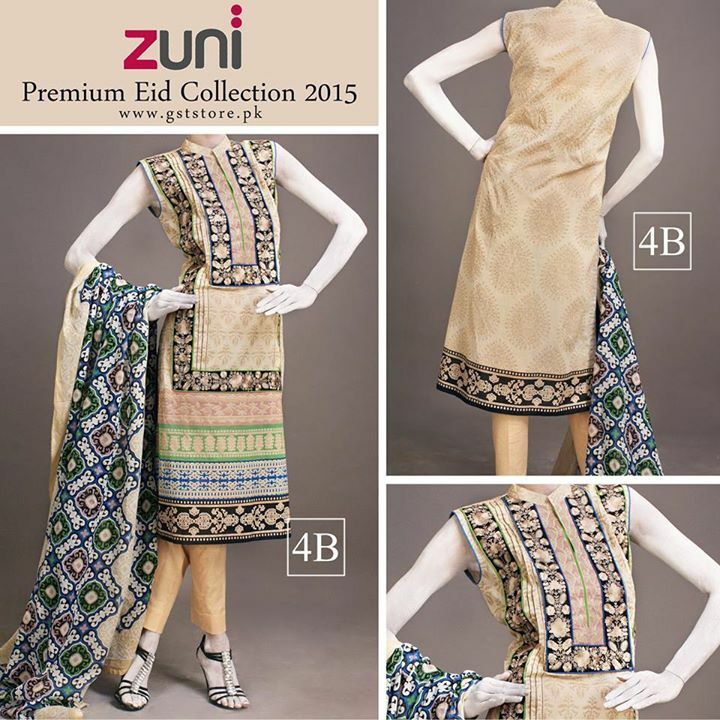 Overall the whole assortment looks so trendy and simple to wear for festivals, night parties, evening and events. 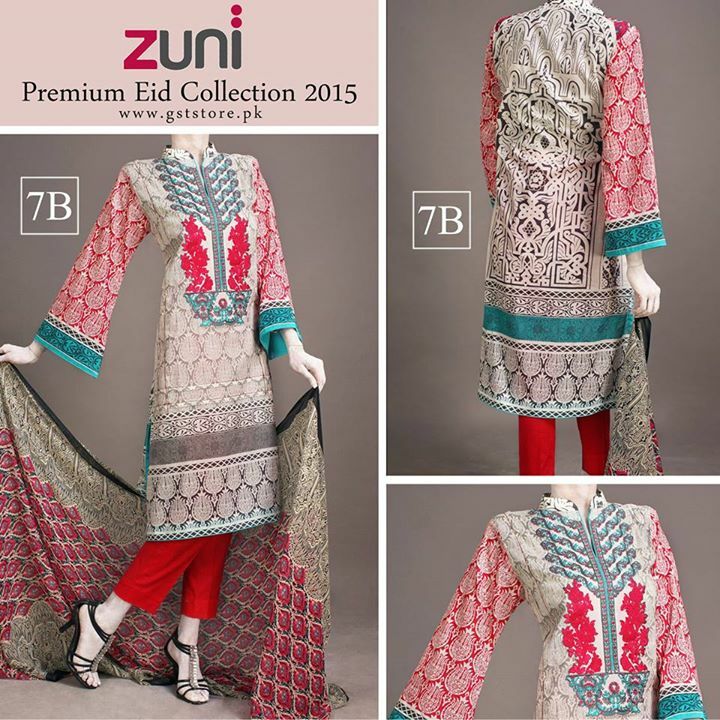 It is for those who don’t like heavy embroidered dress and want simply printed suits to feel themselves comfy. 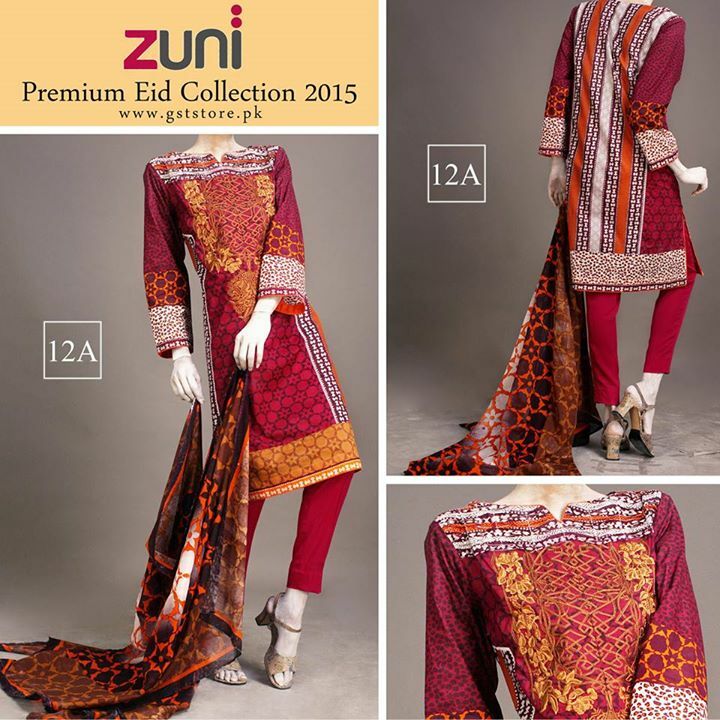 So it’s the best time for them to catch this amazing collection online or through any of the outlet of this brand. Here below I am posting the image gallery of this assortment. I hope you will get inspired!